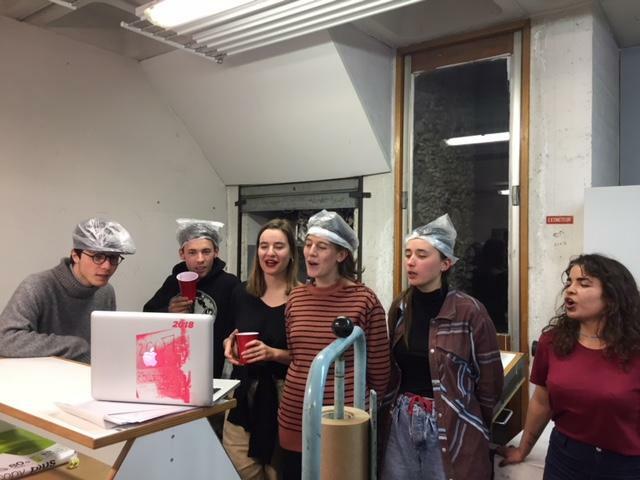 In January this year Susan D’Amato, Emma Febvre-Richards and Amel Nafti gathered at Villa Arson to workshop future projects/ collaborations, engage with Villa Arson students and of course make work! Here are some photos from that time…. 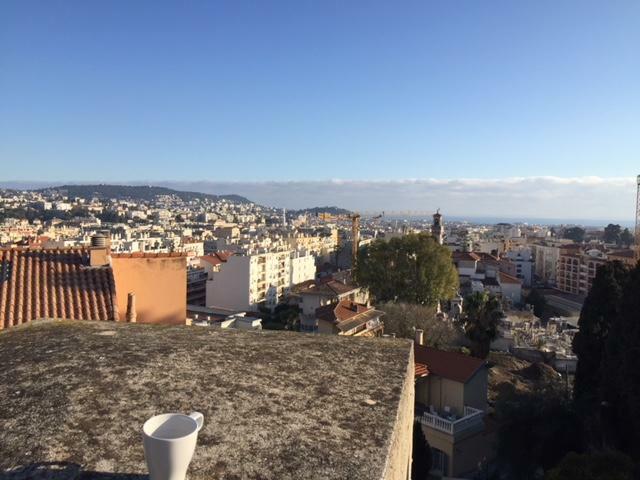 Who wouldn’t love Villa Arson with a view over the City like this?! That’s Emma’s coffee cup! 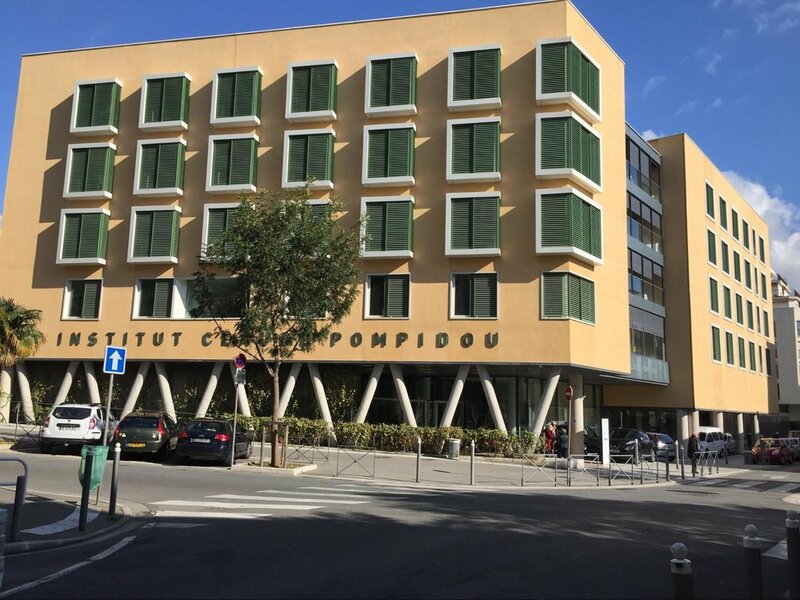 L’Institut Claude Pompidou who Drawing Open is now working with on the Sensing Drawing Project based on bringing together science, drawing and Technology to advance Dementia research. Villa Arson students singing and celebrating in the studio! Susan at the Marc Chagall Museum. 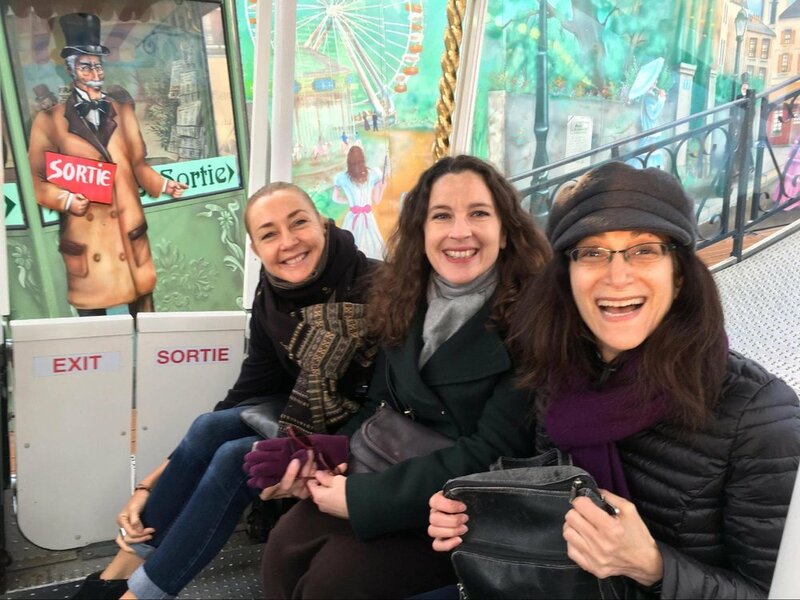 Emma, Amel and Susan, having some fun on the Ferris wheel on our last evening together!